We usually have two or three groups working on different problems at different levels. Our total newbie group is great fun and only general computer-use skills are required to participate. You'll find it's really inclusive and friendly and there's no better way to learn than with other of a similar skill level. Last month we hosted an International NodeBots Day event and we had about a dozen folks working together to control many of the parts that form the basis of robotics! We're all volunteers and attendees are of every level of experience and from all walks of life. Even if this is your first experience programming the only thing you need to start is a laptop and a sense of adventure. Bring your loved ones, bring your friends. There's no barrier to learning to code. If you do sign up and find you can't attend then please cancel your ticket as space is limited. For all information on the day please refer to the NodeSchool Vancouver GitHub page. Our office is on the 4th floor, buzz 460 for entry. We'll have coffee, beer, and snacks to fuel your learning! How do I use node's REPL? Learn the basics of the johnny-five api, as a series of code challenges. 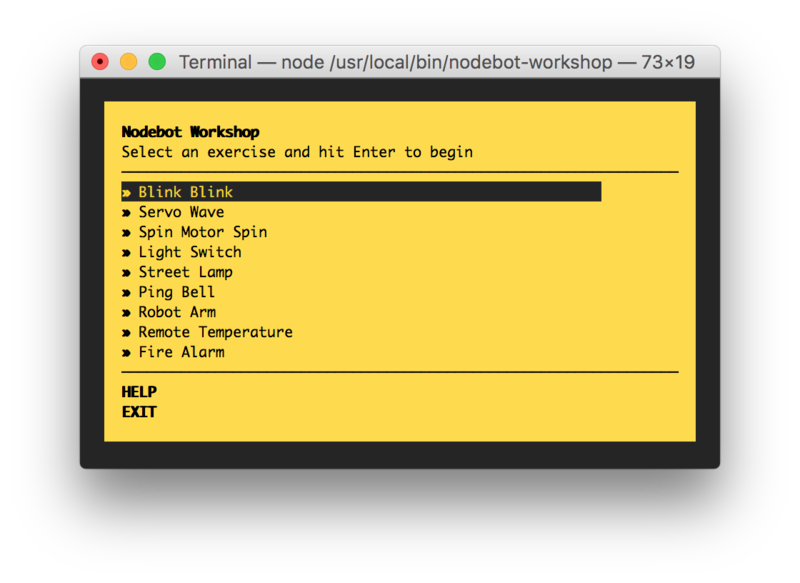 johnny-five is an api for working with Arduino and other rapid prototyping boards. You don't need an Arduino for this workshop. The workshop will pose a challenge, and will test your code. The low level code to talk to the Arduino is stubbed out. Each of your solutions can be run directly as a node program. Wire up an Arduino, connect the USB and you can see your solution run for real.